The Great Growing Up is about an urgent collective choice: to opt for responsible adulthood over the largely adolescent ways we have been relating to one another and our planet Earth. 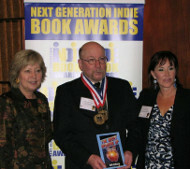 The author demonstrates that it is not too late to create the future we all say we want for our children and our children’s children–a future that is environmentally sustainable, spiritually fulfilling and socially just. 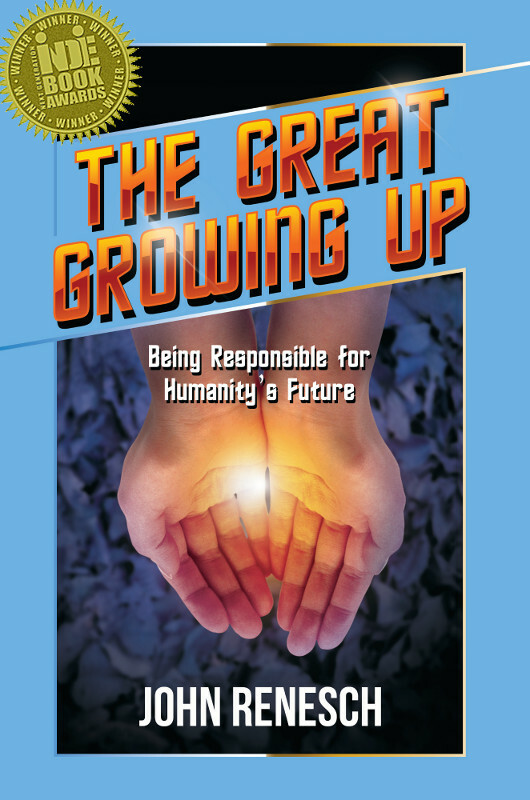 This book is about a change of thinking that supports a paradigm shift- from adolescent self-centeredness to adult responsibility for all life forms. Anyone willing to genuinely “grow up” can make this necessary choice. Ever-increasing numbers of individuals today are already seeking self-actualization, growing in consciousness, and willing to take on leadership roles in bringing about the first conscious evolution of our species. This represents a somewhat invisible global movement of historic proportions. It is not too late to create the future we all say we want for our children and our children’s children – a future that is environmentally sustainable, spiritually fulfilling and socially just. The Great Growing Up projects this vision and shows a way for getting the global reality. 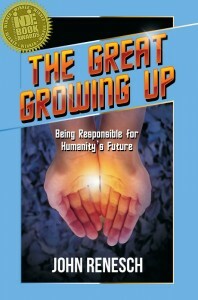 It is time to grow up and assume a more mature responsibility toward each other and our planet. What do the experts predict about the future of the world? What is the prognosis for us and the legacy we are leaving to those who follow us? That, regardless of whether is is good or bad for the human race, it will be happening much more rapidly. According to Ian Morris, Stanford Professor of Classics and History, there will be much more social development amongst our species in this century, four times as much. – for better or worse – as has taken place in the past 15,000 years! It is time to stop thinking about what might happen in the future and start thinking about what we want to happen, about what needs to occur now to bring that desired future about. This is “conscious evolution.” Many find this term a kind of oxymoron because evolution is thought of as survival of the fittest, something seemingly left to chance and random circumstance. But as we evolve as human beings we are also growing in consciousness….. There are two windows of opportunity for human beings in motion right now. One is closing fast while the other is slowly opening wider. The one that’s closing fast is made up of all the threats to the quality of life as we know it – deforestation, population growth, deteriorating water and air quality and all the other trends that make headlines each day. When this window closes, human beings may have to make one of the toughest mass adjustments in history if our species is to survive.